A remotely operated underwater vehicle (ROV), is a tethered underwater mobile device. This meaning is different from remote control vehicles operating on land or in the air. ROVs are unoccupied, highly maneuverable, and operated by a crew aboard a vessel. 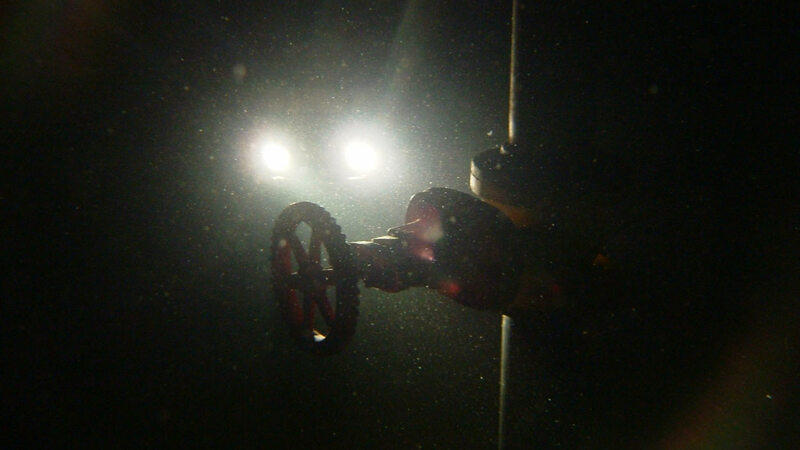 They are common in deep water industries such as offshore hydrocarbon extraction. They are linked to a host ship by a neutrally buoyant tether or, often when working in rough conditions or in deeper water, a load-carrying umbilical cable is used along with a tether management system. 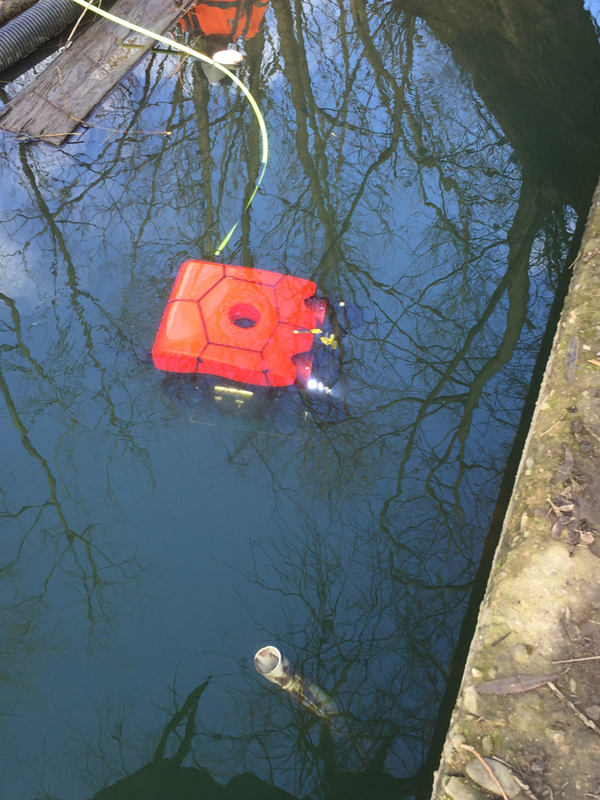 The larger ROV is more of a workhorse and very stable in the water due to its size and powerful motors, therefore it is used in search and recovery operations or to monitor and assist divers with an underwater installation. 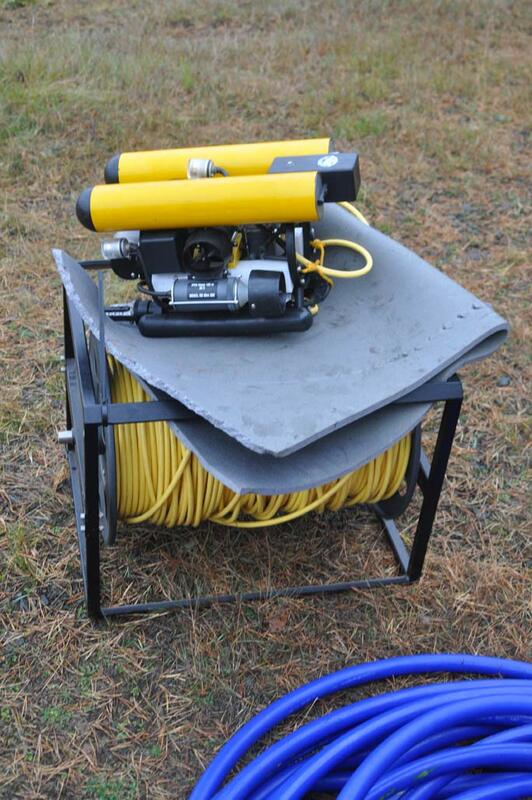 The benefits of using this type of equipment are ROV’s can go down longer and deeper having limited restrictions within the water, making the diving personnel more productive by eliminating unnecessary decompression constraints and identifying obstacles present that are potentially detrimental against task completion before diver deployment. 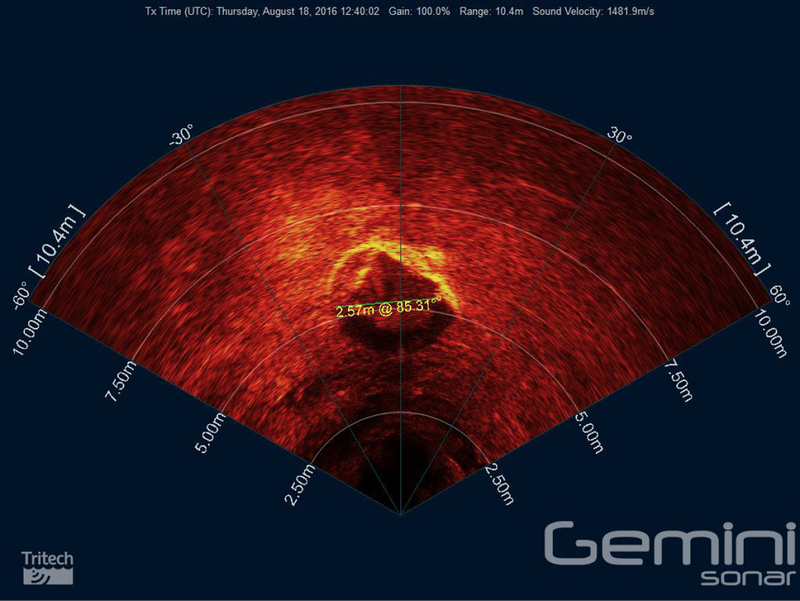 SONAR which stands for (Sound Navigation and Ranging) is used to find and identify objects in water. 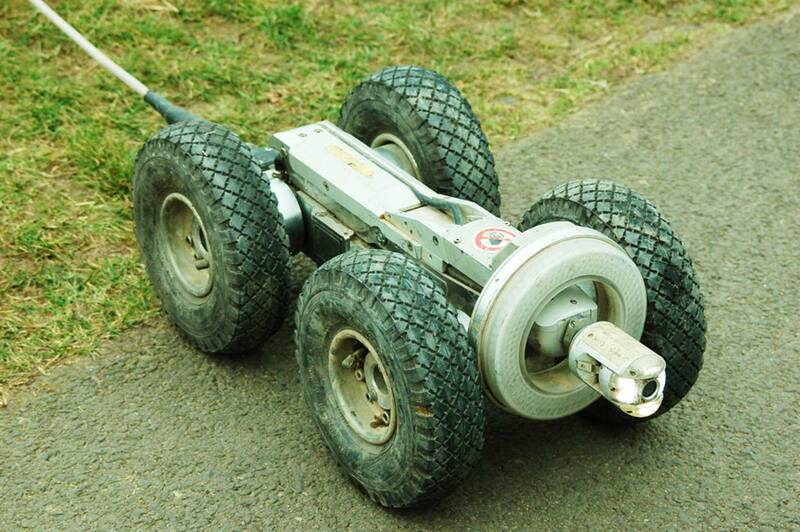 It is also used to determine water depth (bathymetry). Sonar is applied to water-based activities because sound waves attenuate (taper off) less in water as they travel than do radar and light waves. 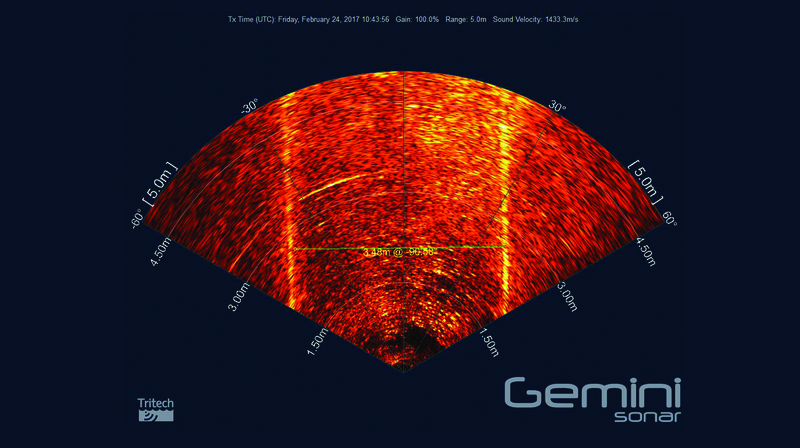 When combining Sonar technology with an ROV System the equipment compliment each other and assit the surface operator to locate objects or observe diving personel even in zero visability conditions. 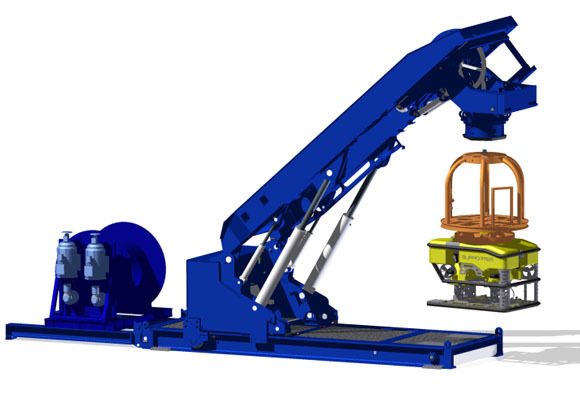 Some ROV systems do not operate with thrust propulsion but use tracks or wheels to mobilize. 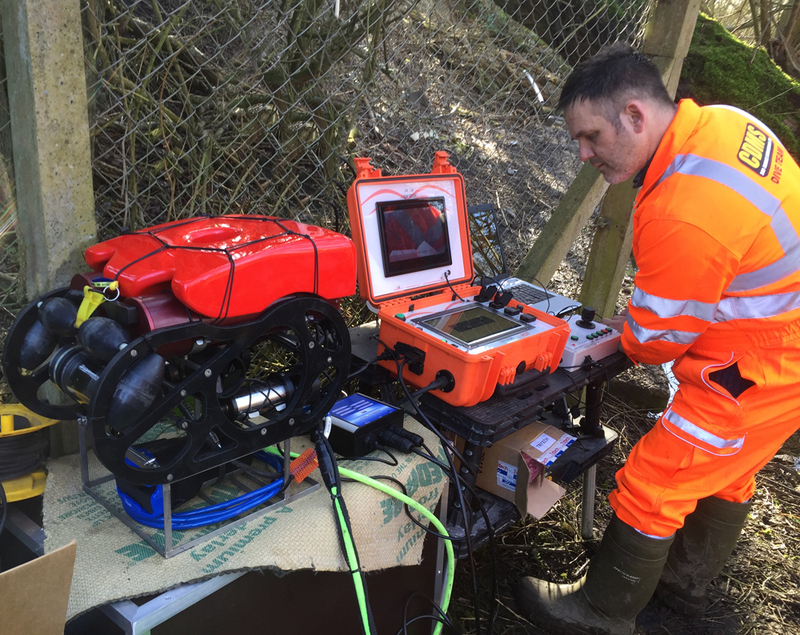 These systems are designed to be placed in drains and sewer systems inspecting for damage to pipework or blockages. There are different size ROV’s available for specific requirements, size is some what critical and the large ROV’s are sometimes unsuitable for the clients project. 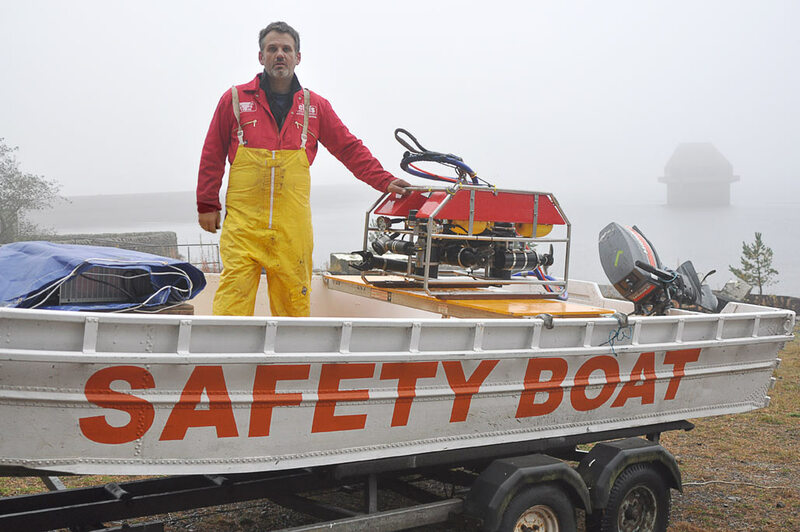 CDMS have a multitude of ROV configurations varying in shape and size, which can be easily deployed by hand into the water from our safety boats. ROV Systems come in a multitude of configurations shapes and sizes some are easily deployed by hand into the water other much larger configurations have LARS Systems incorporated with them to aid with the release and recovery of the ROV (Remotely operated vehicle).